When choosing the most efficient and effective cooling solution for your Indianapolis home, many homeowners turn to heat pumps. They are, after all, one of the most effective solutions possible for our local climate, and provide superior versatility and quality. But when something goes wrong with your cooling system, you can be suddenly bereft of the comfort you’ve come to depend on. When this happens, you need a repair service that is reliable, effective, and expertly-skilled. 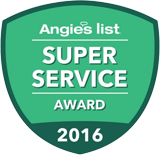 At Service Plus Heating, Cooling and Plumbing we strive to bring you the absolute best in heat pump repair services available! Our certified HVAC specialists carry all of the experience and cutting-edge technology needed to ensure your repairs are completely perfectly, every time! Surges in cooling costs. You chose your Indiana heat pump for its supreme efficiency. So when your bill begins to inexplicably rise by ten, twenty, or even fifty percent, you know something has gone amiss. Short cycling. A unit kicking on and off before adequate temperatures have been reached is one that needs heat pump repair right away. This issue directly prevents you from receiving the comfort you need, and our experts can get short cycling handled in short order! Odd sounds. Heat pumps are generally pretty quiet. Notice a clank, bang, or wheeze that isn’t normally there? Call in for repair! Strange noises are often loose or damaged components, and these can do serious harm to your system if not handled immediately. Strange smells. If you’re experiencing moldy, musty smells from your heat pump, there’s likely an issue with the condensate drain, or a heavy accumulation of dust and debris. Both of these issues result in a drastic drop in efficacy and efficiency; get them fixed quick! Ice forming on unit. This can be caused by weak air flow, or a refrigerant leak; either way, you need professional repair. Ice is not a normal occurrence for a heat pump, and it may cause damage if left alone. Mode jamming. Is your heat pump stuck in “heat” when you want “cool”, or vice versa? This is actually a fairly standard issue for heat pumps, and our experts can set it straight in no time. Our mission is to always ensure your needs are met first and foremost. And to accomplish this, we provide only the absolute best in service, quality, and skill to meet your heat pump repair needs. For dependable, effective heat pump repair, contact our experts at Service Plus today!